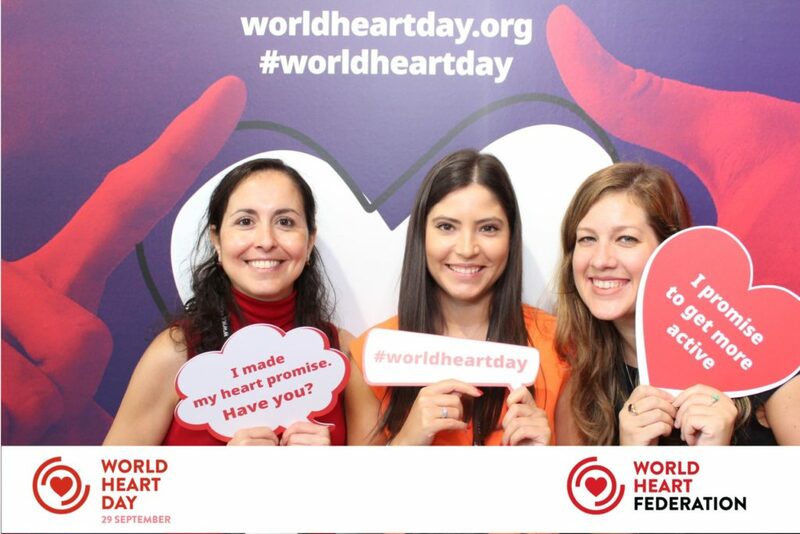 At the end of August we were delighted to attend the European Congress of Cardiology 2018 (ESC) in Munich, Germany, where the World Heart Day (WHD) themed booth was a huge success! 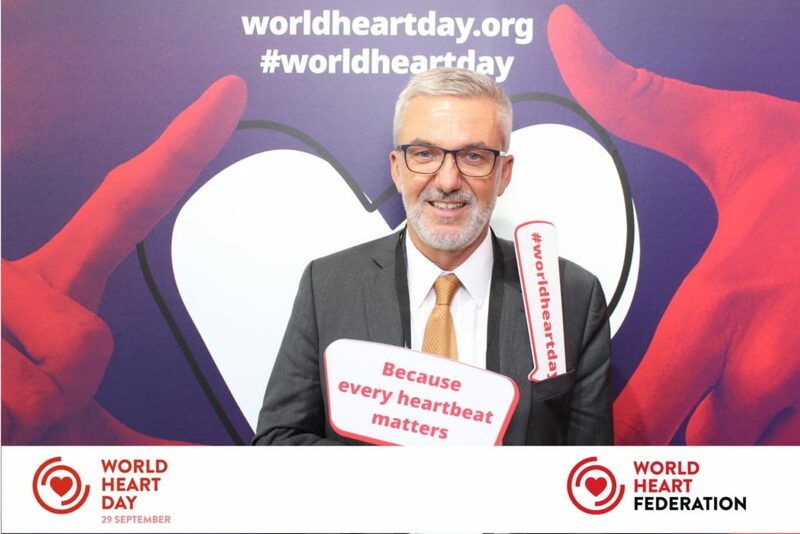 Delegates who visited our stand were the first to take part in the WHD campaign holding up placards with the ‘heart promise’ of their choice and taking more than 500 pictures. World Heart Federation (WHF) Members, Board Members as well as current, future and past Presidents visited us to demonstrate their commitment to the campaign and support the awareness initiative. The WHF stand was once again the perfect meeting point for all Members to discuss the future of cardiovascular disease and current and forthcoming WHF projects. The ESC Congress was also the chosen platform to announce that next year’s event, taking place in Paris 2019, will be hosted in partnership with WHF for the first time. Thanks to this new collaboration approach, the World Congress of Cardiology will now take place every year rather than biennially, making it an even greater opportunity for WHF Members to meet, network and share insights. The countdown to WHD 2018 has already started. We look forward to hearing more about your initiatives and events.